A truly sweet arrangement that will bring many smiles. 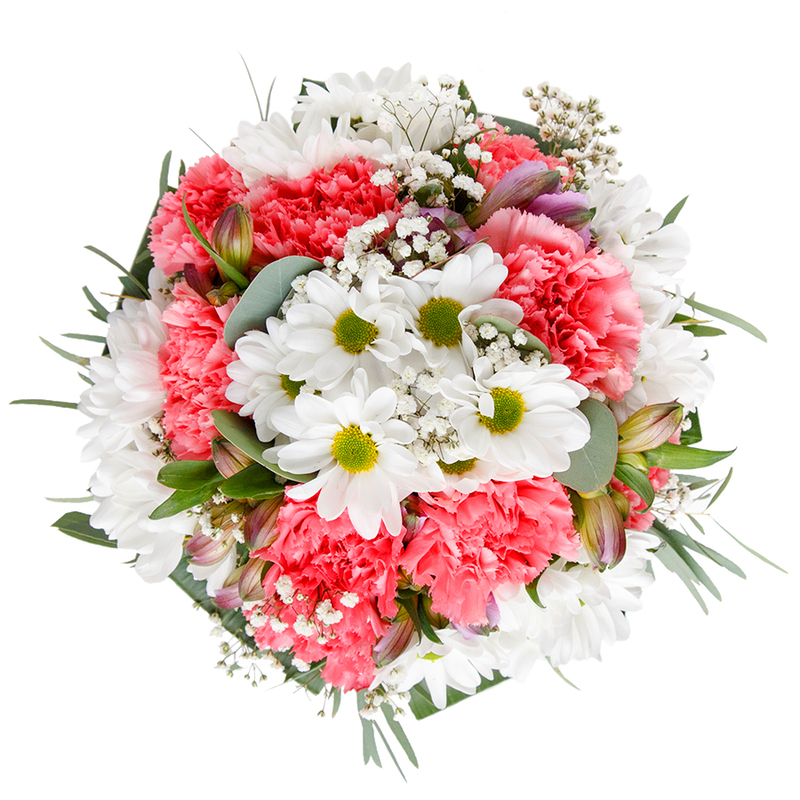 Send this lovely seasonal mix of flowers and make someone day extra special. 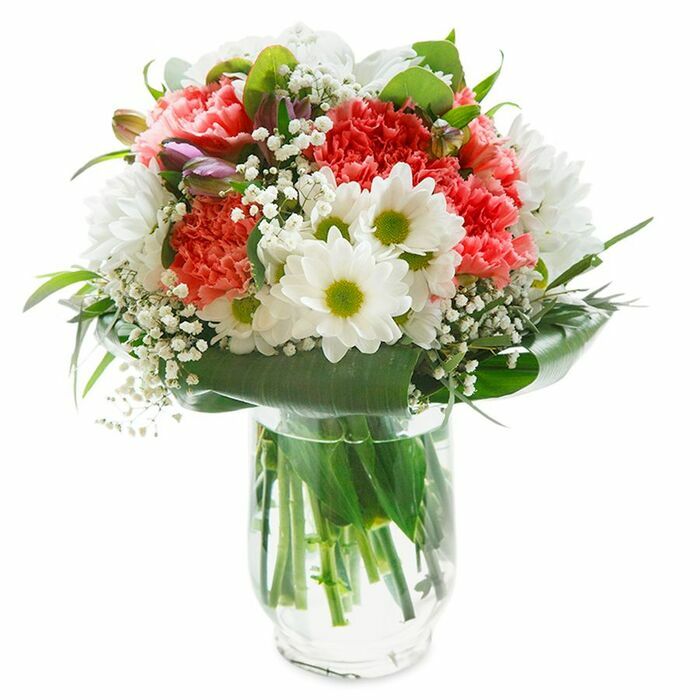 A soft color palette of snow white chrysanthemums and gypsophila, light pink carnations tightly wrapped in aspidistra leaves. What an amazing surprise! The bouquet is extremely fresh, order it right away! The service turned out to be very good. Totally worth my money. The team was extremely friendly and delivered the beautiful bouquet on time. Good company. The flowers were arranged very elegantly. Everything went smoothly and the flowers were delivered on the requested day at a convenient time for me. Trustworthy company that I surely recommend. Carefully combined colour hues, gorgeously fresh flowers and a fair price. This online florist was everything I had hoped for. With such a good variety and a website that’s easy to navigate, ordering flowers couldn’t be easier! I tend to choose THIS bouquet for most occasions as the arrangement really is stunning. I must say, I have always been very satisfied with the service I have received here and always recommend to family and friends. When my sister-in-law sent me some photos of the flowers when she received them, I was delighted with how well presented they were and how fresh the flowers look. Ordered some flowers as a spontaneous surprise for my wife and a week later they’re still fresh and smelling lovely. And, of course, my wife is very happy with them!